Our Zheng Shan Xiao Zhong is the the original and authentic (i.e. historic) lightly smoked black tea. It is rarely sold in the US because any tea vendor selling this outside of China needs to have permission from the producer to purchase it from him! In essence, some classify this tea as a Lapsang Souchong – the smoked teas that European tea drinkers have favored since the 18th century. 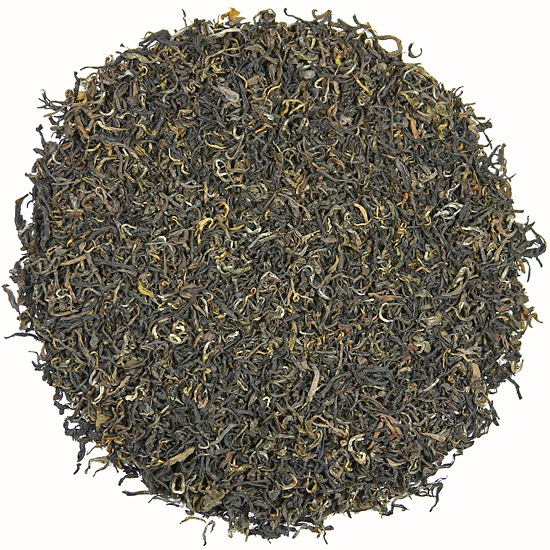 But, Zheng Shan Xiao Zhong is different from Lapsang Souchong in several ways. It is a fine-leaf tea that is nothing like the heavily smoked Lapsang Souchong tea that most Westerners are familiar with. 2. Zheng Sha Xiao Zhong is made with fresh spring tea leaves from the tea gardens located in the vicinity of the smoking sheds. The leaf is given a light smoking during the manufacture of the tea. Or confusingly, it can be manufactured as a black tea and be non-smoked. We have both versions – please order carefully when choosing. 3. Zheng Shan Xiao Zhong is produced in one protected, natural area deep in a mountain valley of the Wu Yi Shan. On one of our tea-sourcing trips to eastern China we were granted the special permission that was necessary to visit this restricted production zone. It is there, primarily in Tong Mu Village and adjacent small tea villages, that Zheng Shan Xiao Zhong tea is made. The fresh leaf comes from protected, pristine tea gardens that are located in the vicinity of the smoking sheds. Here, the fresh leaf is processed and smoked during the production of this unique black tea. The leaf is essentially given a ‘cold smoking’ during processing, which gives this tea a lightly-smoked character while maintaining flavor and finesse. 4. Zheng Shan Xiao Zhong is produced in limited quantity each spring. It is elegant, light, exotic and very refreshing. 5. Zheng Shan Xiao Zhong can usually be re-infused for a second cup, depending on the duration of the first infusion. 1. 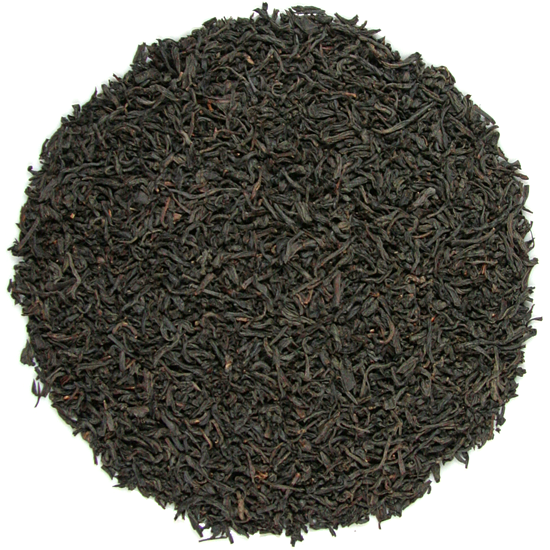 Lapsang Souchong is a heavily smoked (tarry) tea produced for export and is rarely drunk by Chinese tea drinkers. 2. Lapsang Souchong is made from already ‘made’ black tea (that is sent to the smoking sheds from other places in China) which is given a hot smoking to impart the thick tarry taste. 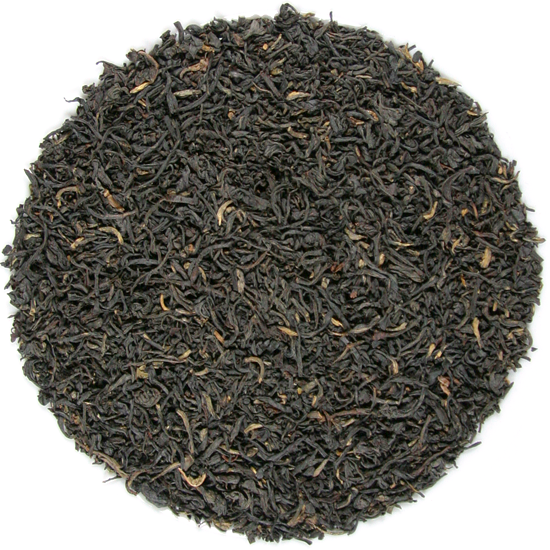 We offer two choices of export-style Lapsang Souchong – one from Taiwan and one that is also smoked in Fujian, and is in the assertive export-style. The styles are similar but somewhat different because of the underlying leaf used to make the tea.